A year ago an initiative was introduced in California that would require state public retirement systems to divest from Israel. 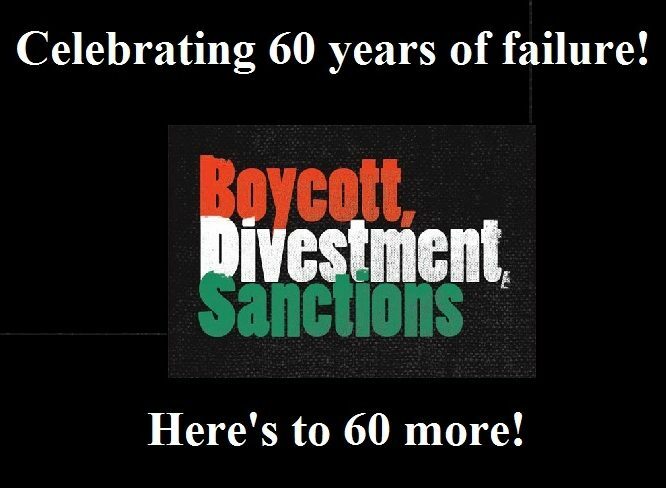 (See “California initiative to divest from Israel.”) By May 2010, it had expired, but BDS activists vowed to return. (See “Initiative to force California to divest from Israel fails, proponents will try again.”) And try again they did, under the rubric of the Israel Divestment Campaign. The text of the second initiative is here; notice the explicit demand that Israel give “Palestinian refugees their rights in accordance with United Nations Resolution 194,” which is code for the Palestinian “right of return” and the elimination of Israel. Under California law the initiative’s proponents had from September 1, 2010 to January 31, 2011 to collect signatures from 433,971 registered voters. The campaign has announced that it failed to reach that goal. Not enough Californians share their vision of a world without Israel, it seems. The initiative is dead.